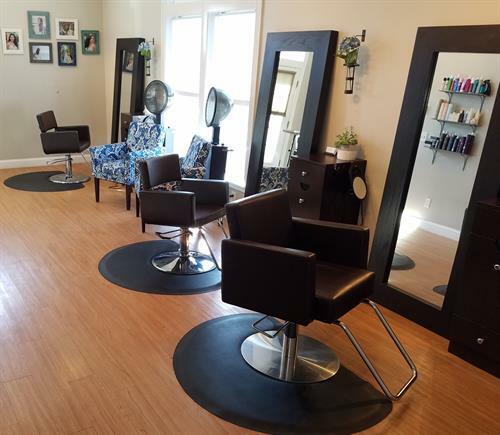 We are a full service day spa and salon located in Kennebunk, Maine. Our spa and salon offers many luxurious services, such as massage, facials, body treatments, natural nail care and hair design. Prior to beginning one of our relaxing massage or facial services, you will change into a plush robe and spa slippers. We have separate ladies and gentlemen's locker rooms that are equipped with steam showers and regular showers for your convenience. 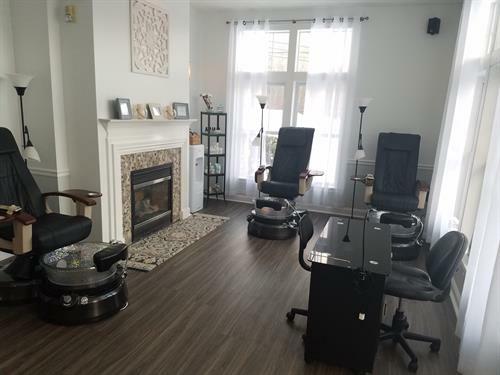 Our spa consists of five treatment rooms, a lounge with a warm fireplace and a natural manicure and pedicure area that overlook the Kennebunk River. 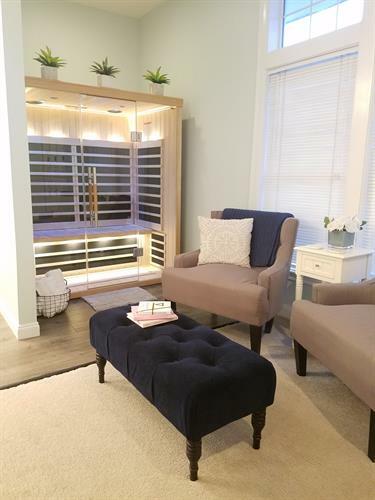 Our outdoor patio that looks out along the Kennebunk River, is a great place to relax and begin to unwind and decompress.Our salon consists of five experienced and educated stylists that believe in building a long lasting relationship with their guest. At River's Edge Spa & Salon, we use only the highest quality products which will always improve the integrity of your hair and skin. Jane Iredale Cosmetics, Bare Minerals Make Up, Murad Skin Care, Elemis Skin Care, Kevin Murphy, Eufora, and Loma Hair Care products are always available for purchase to maintain the same great look that you received at the spa and salon. Whether you choose to join us for the day or an hour, we want to always ensure that your experience with us is unforgettable. We are committed to providing you with an outstanding experience each time you choose to visit us.